We were both city people. My husband and I grew up in New York and you had to take a substancial drive in order to really commune with nature. Apartment buildings, subways, buses, and if you were lucky, a small park with playground equipment was what surrounded our neighborhood. When we had the opportunity to buy a house, we wanted more....we wanted a little part of nature. We found it. So when we bought our first house in the suburbs of Chicago, there was no doubt that there would be trees, shrubs, and flowers to adorn the yard. It was a newly built home so the property was a clean palette. Toward the back fence the property was more saturated with water and so we planted a corkscrew willow. The tree grew quickly as time went by and as the tree grew so did our family. 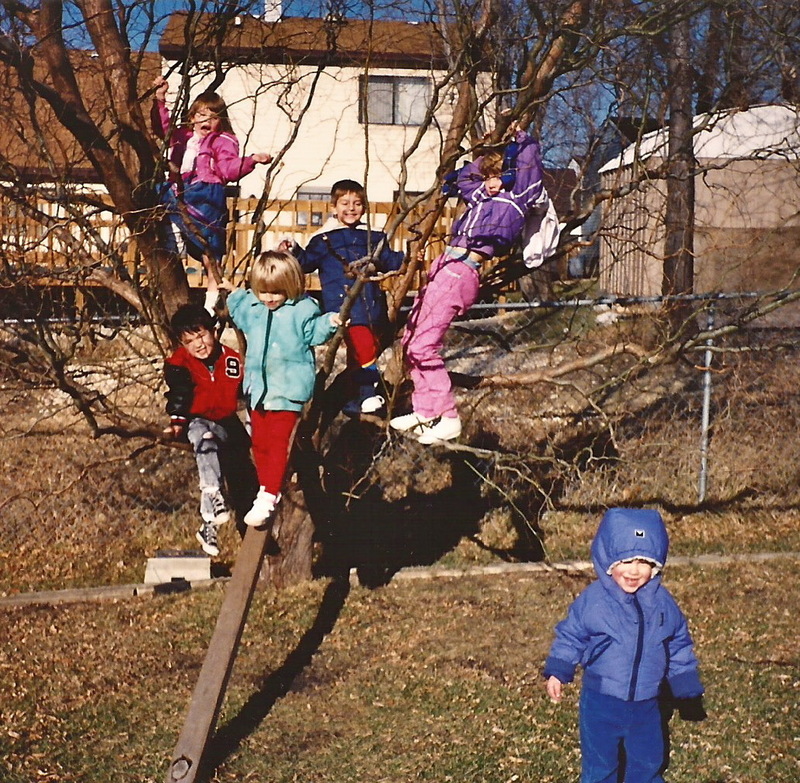 We were also lucky enough to have a neighborhood with people our age having kids their age and the neighbors quickly became dear friends. In fact, our children are still good friends with each other and their kids are friends with each other now. At one point, I was working as a daycare provider and it was not uncommon to have several kids at the house besides my own. That corkscrew willow became a focal point and hangout for the neighborhood kids. They climbed it, had great discussions, played school and sealed lasting friendships. It is one of my favorite memories of the old neighborhood. Knowing these friendships continue from both generations, I have no doubt that this tree will always live in my heart as well.